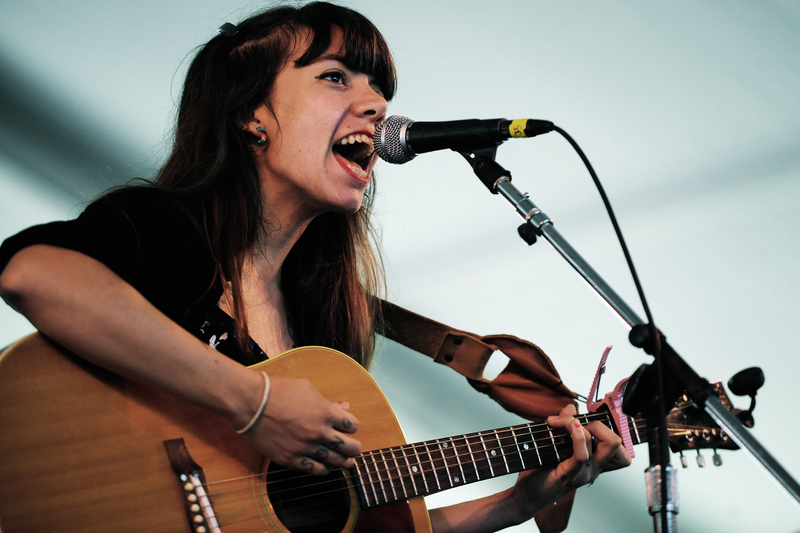 Hurray for the Riff Raff plays Brooklyn’s Knitting Factory on Thursday, August 1. It’s only been 24 hours since team grass clippings returned from the Newport Folk Fest to the sweaty concrete jungle that is Manhattan … and we’re already nostalgic for the Rhode Island sea. Let’s call it the post-Newport blues. But praise Jesus, a bunch of the folkers we came, saw and loved over the weekend are making pit-stops in NYC to give us a chance to re=live the recent past. Tonight, head to Mercury Lounge for Bobby, Joe, Josh and Chris … then go around the block to Rockwood to catch Mike and Chris E. Tomorrow, check out our favorite banged Brit Beth Orton at The Bell House. Thursday, the hands-down wisest move you could make this week is to go see Hurray for the Riff Raff at Knitting Factory. Definitely didn’t get to see enough of their raved-about set at NFF, and they’re slated to take off on a nationwide tour with Spirit Family Reunion this fall.